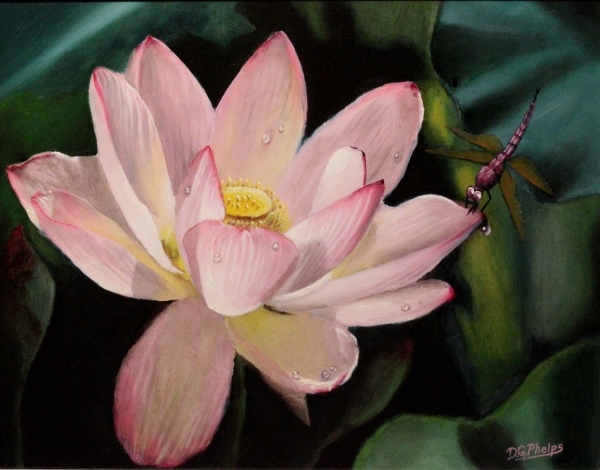 Lotus Flower Art, a wonderful painting of this mysterious flower blossom. 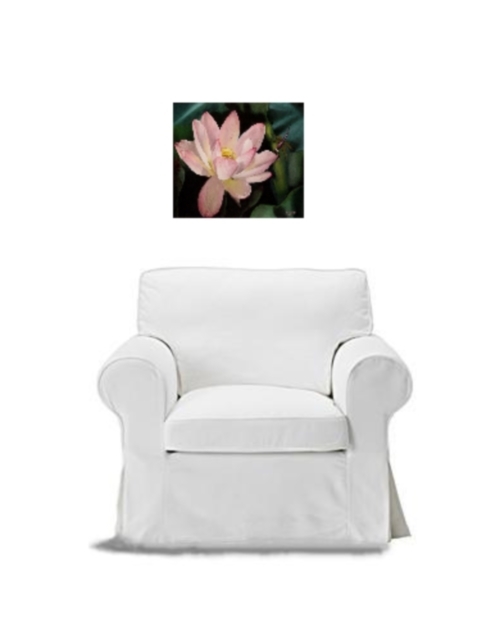 Lotus flower art in "Water Lily"
Home > Fine Art Gallery Page > "Water Lily"
The Lotus Flower is a symbol of purity and ‘spontaneous’ generation and hence symbolize divine birth. It is an important part of eastern religion. Especially Buddhism, where ‘the spirit of the best of men is spotless, like the new lotus in the muddy water which does not adhere to it’. This is why the Buddha sits on a lotus in bloom. The pink lotus has a special place. This is the supreme lotus, generally reserved for the highest deity; it is the lotus of the historical Buddha. The lotus is an Asian water lily. It possesses an amazing ability to flourish in a variety of environments ranging from clear ponds to muddy marshes. It is also known for its exceptionally hearty seed pods, (which can survive for hundreds of years, and still be viable). Because lotuses grow out of the mud pure and clean, it holds a special place in those who witness its blossom. The phenomena called “the lotus effect” has been studied and now understood. 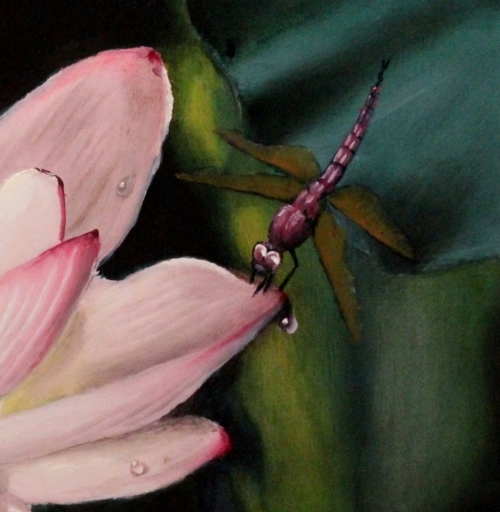 Tiny microscopic features keep anything from sticking to the flower. So as it blooms in the morning, no matter the muddiness of the pond, the blossom remains intact, clean, and beautiful! This is why poets use the lotus flower to inspire people to continue striving through difficulties and to show their best part to the outside world, no matter how bad the circumstances may be, or how muddy your life can seem! The Lotus flower also symbolizes faithfulness. 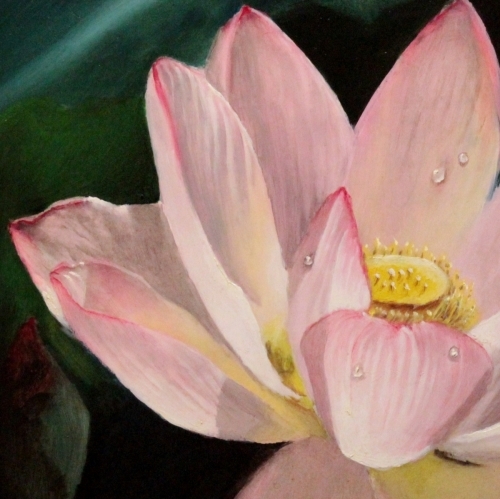 The influence of lotus flowers is to help open us up to beauty and light. 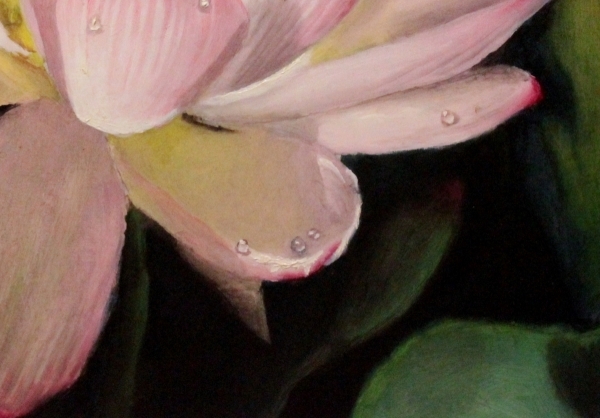 A good lotus painting can act as a reminder of the miracle of beauty, light and life. This reminder, communicated on an emotional level, is said to aid both spiritual and practical understanding of Tao, the world and our place in it. The magnificent blossom unfolds gradually, one petal at a time, till full-bloom in the morning when the sun's rays touch the flower. As the lotus awakens and blooms at the first rays of the morning sun, the interdependence between the lotus and the sun is a symbol of love. More about the painting method and my online guarantee. Size: 11”x14” on wood panel. This painting has sold. Thanks for checking!